AXN is kicking off its search for Asia’s next global superstar as it calls for online auditions for the second season of “Asia’s Got Talent”. In its first season, the record-breaking series crowned Filipino shadow dance group, El Gamma Penumbra as the grand winner with a cash prize of USD100,000. “Following the outstanding success of season one on AXN, and the awe-inspiring talent that emerged from 15 countries, Asia’s Got Talent has established its place as the region’s most powerful platform to launch aspiring stars,” said Virginia Lim, Senior Vice President and Head of Content, Production and Marketing, Sony Pictures Television Networks, Asia. Starting from 10 April 2017, potential stars from Asia can visit AXN-Asia.com/AsiasGotTalent to submit an application and a less-than-two-minute audition video, which should include a short introduction of the act, and the actual performance. In addition to the online auditions, AXN will also hold a series of open auditions in major cities across the region next month. “For season two, AXN is looking for a variety of acts that span everything from thrilling, surprising and breathtaking to funny and quirky…and sometimes bizarre. Asia’s Got Talent is captivating entertainment at its best and there’s no better place than Asia to discover to the next generation of superstars,” said Lim. 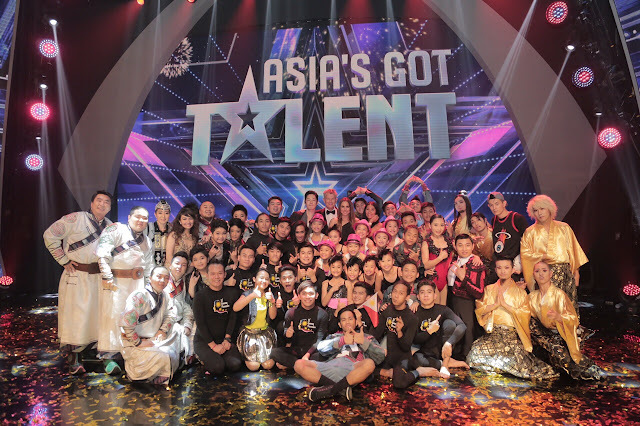 The first season of “Asia’s Got Talent” had set new ratings records for the English general entertainment genre, taking AXN to the number one spot in its timeslot among all regional pay-TV channels collectively across Southeast Asia. In Malaysia, it was also the highest rated entertainment series for the English language channels on Astro for the past two years, and in the Philippines, the Grand Final Results episode of “Asia’s Got Talent” was the highest rated pay-TV program in the country since 2008.